Hi friends! Welcome to our December Guest Designer post. 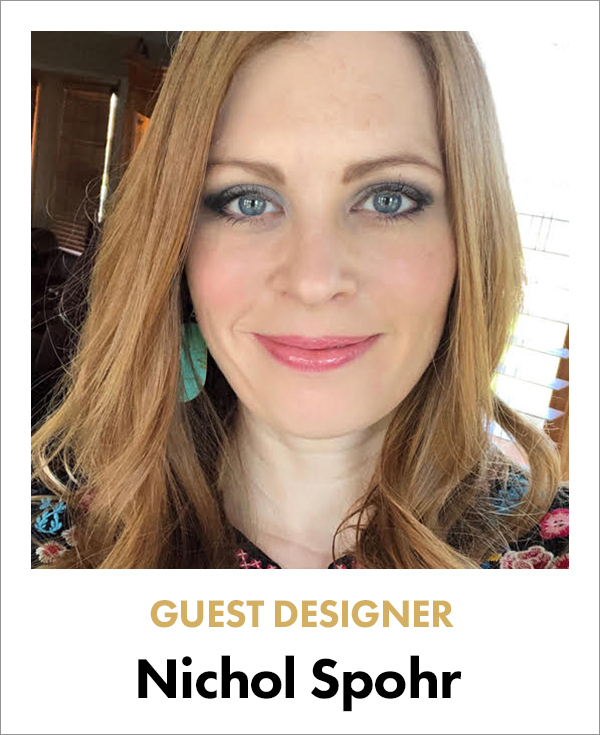 This month, we have the fabulous Nichol Spohr as our December Guest Designer. 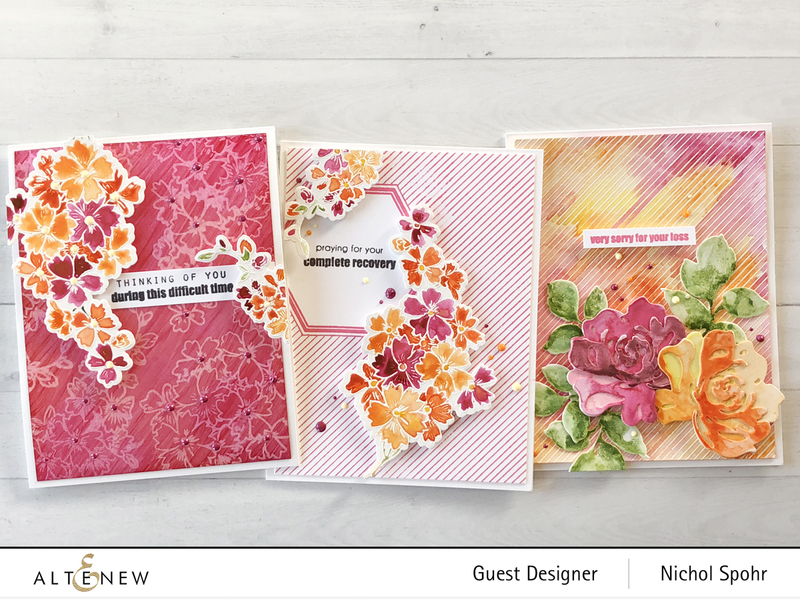 She will be sharing three gorgeous and oh-so-colorful cards with you today! Nichol has a tremendous eye for design. She makes the most complicated fold cards to cards with clean lines. She can truly do it all! Let’s get to know Nichol in her own words. Hi, stampers! I’m Nichol Spohr and I’ve been paper crafting for about 19 years and have been involved in the paper crafting industry in some fashion since 2002. I started out as a scrapbooker who dabbled with stamping and over the years have evolved into a card maker who uses stamps on just about every single thing I create! I’m passionate about stamping and die-cutting and getting the most out of my supplies. I enjoy sharing, inspiring, and teaching, and regularly share video tutorials on my YouTube channel. You can always see what I’m up to by visiting my blog. 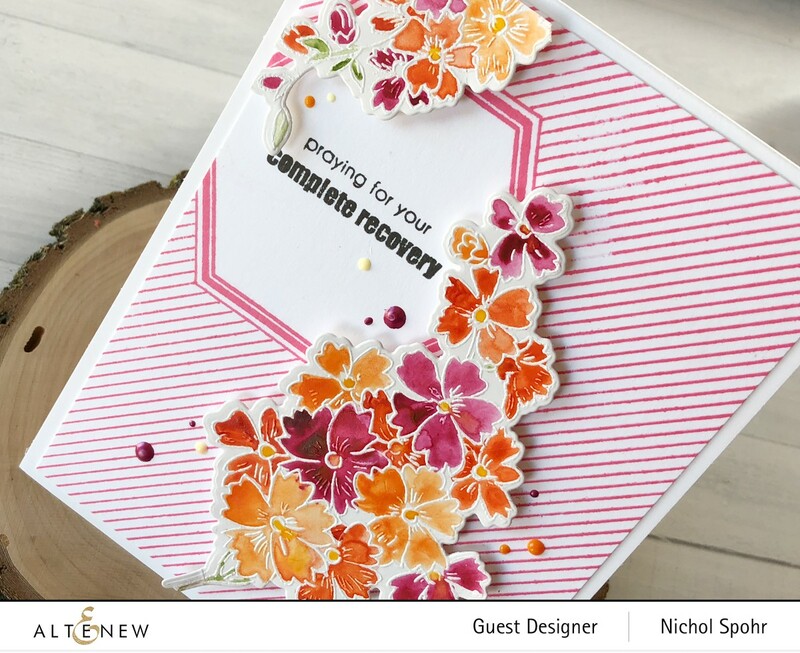 Today I am sharing a set of sympathy/thinking of you style cards. These are cards that no one wants to have to mail but we all need to have them on hand. For me, it’s much easier to have them available when emotions are tender. When I think of creating sympathy cards, I often think of florals. I bet you do too! And who makes better floral stamps and dies, than Altenew?!!! Today’s set of cards uses the Starry Flowers Stamp and Die Set, Geo Frames Stamp Set, Pinstripe Stamp Set, Fantasy Floral 3D Die Set, Mini Blossom Die Cutting Machine, and Watercolor 36 Pan Set. My hope is that these cards inspire you to create some watercolor-based cards. 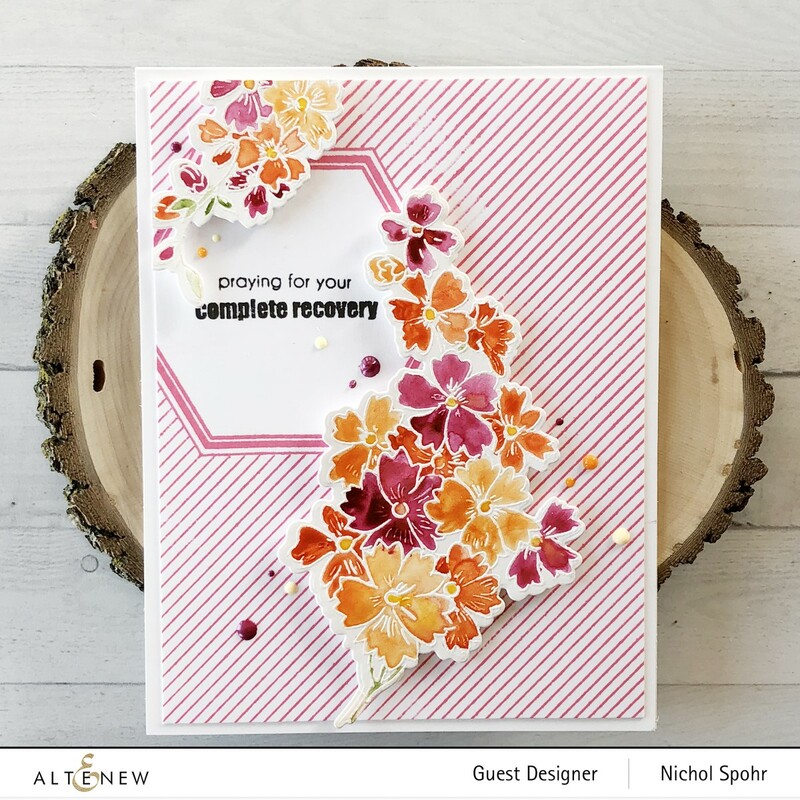 Don’t need sympathy cards? These designs will work for a birthday, anniversary, wedding, and so many other occasions. Let’s get to the projects! My first card features a clean and simple stamped frame and background with beautiful watercolored flowers. A frame from Geo Frames Stamp Set was stamped on a background panel with Coral Berry Ink. A mask was created, placed over the hexagon frame, and the Pinstripe background stamp was stamped over the masked frame using the same Coral Berry Ink. Once the mask is removed, you’re left with an awesome one layer background. Greetings from the Starry Flowers Stamp Set were stamped inside the frame with Jet Black Ink. The florals from the Starry Flowers Stamp Set were stamped on Bristol Smooth cardstock with clear embossing ink and heat embossed with Pure White Embossing Powder and watercolored with the Watercolor 36 Pan Set (I used Rubellite, Forest Glades, Fresh Lemon, Sunkissed, and Autumn Blaze). Once dry, I die cut the flowers with the coordinating dies and adhered the images to the design with foam adhesive. The card was finished with Nuvo Crystal Drops in Buttermilk, Ripened Pumpkin, and Rhubarb Crumble. For my second card, I wanted to try another Pinstripe background but this time with a little more color. I stamped the Pinstripe background stamp with clear embossing ink and heat embossed with Pure White Embossing Powder. The Watercolor 36 Pan Set (I used Rubellite, Fresh Lemon, Sunkissed, Autumn Blaze) was used to watercolor over the embossing for embossed resist. I went with a messy watercolor look here. 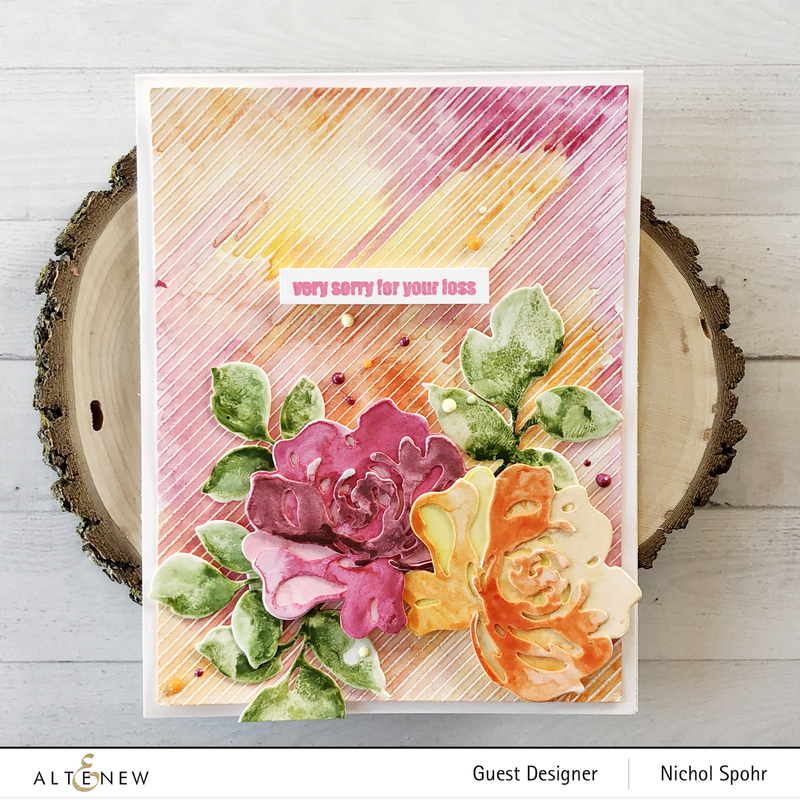 The Fantasy Floral 3D Die pieces were die cut from Bristol Smooth Cardstock and watercolored with the Watercolor 36 Pan Set (I used Rubellite, Grapevine, Coral Berry, Forest Glades, Frayed Leaf, Fresh Lemon, Sunkissed, and Autumn Blaze). Once dry, the florals were layered and assembled and adhered to the background as shown. 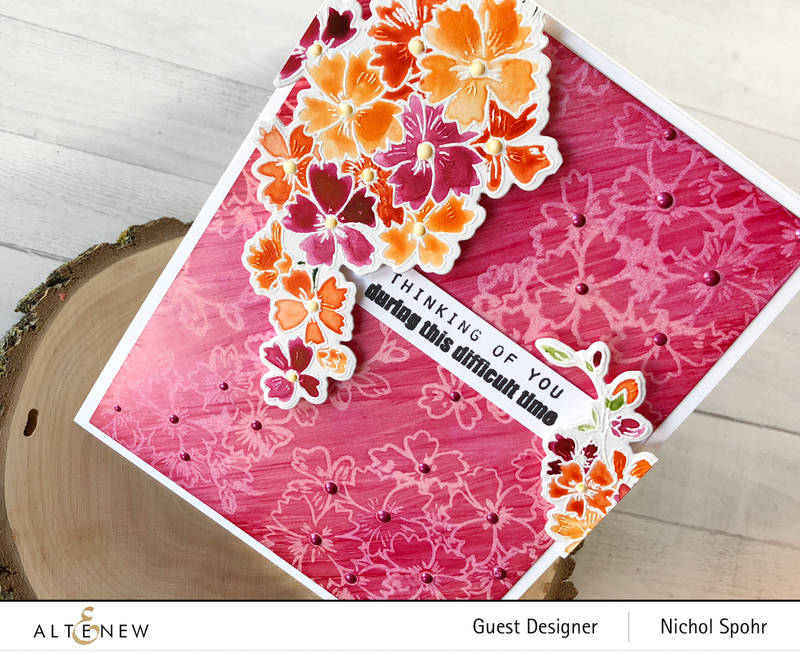 A greeting from the Starry Flowers Stamp Set was stamped on smooth white cardstock with Coral Berry Ink, trimmed into a thin strip and adhered to the background with foam adhesive. The card was finished with Nuvo Crystal Drops in Buttermilk, Ripened Pumpkin, and Rhubarb Crumble. My final card share today features more watercolored Starry Flowers images but this time set against an Alcohol Inked background with the same images stamped with Alcohol Lift Ink for a beautiful ghost-stamped looking background! I applied Butterscotch, Wild Plum, Valencia, Copper Fixative, and Alcohol Blending Solution to Yupo Yardstick with a felt ink blender. Once dry, I stamped the Starry Flowers all over the background with Alcohol Lift Ink. A sentiment from the Starry Flowers Stamp Set was stamped on smooth white cardstock with Jet Black Ink, trimmed into a strip, and adhered over the background. More stamped/embossed/watercolored Starry Flowers images were adhered with foam adhesive over the alcohol lift ink background. The card was finished with Nuvo Crystal Drops in Ripened Pumpkin and Rhubarb Crumble. Wow! How gorgeous are those cards?! These truly can work for any occasion. Make sure to leave some love on Nichol’s blog and Instagram. Also, check out her YouTube channel – it’s filled with design inspiration. Thank you so much, Nichol, for being our December Guest Designer and sharing your talent with us. We are so honored to have you! Nicole, what a beautiful picture of you! 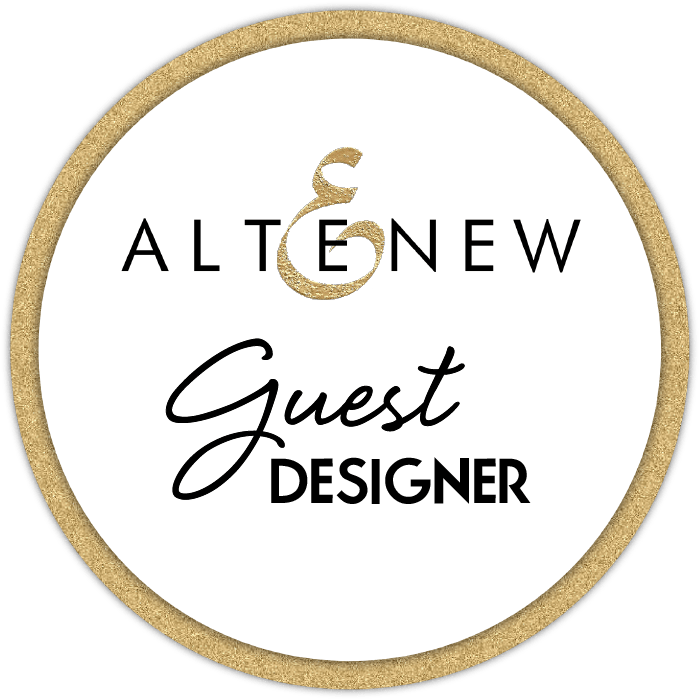 I am a loyal follower and am pleased to see you as a guest designer on Altenew. Nice to see her work! I like her style very much! As always Nichol, stunning. Love the colours that you used and the colouring is simply awesome! Thank you so much for showing. Nichol always has an eye for great design and color. These are totally beautiful! 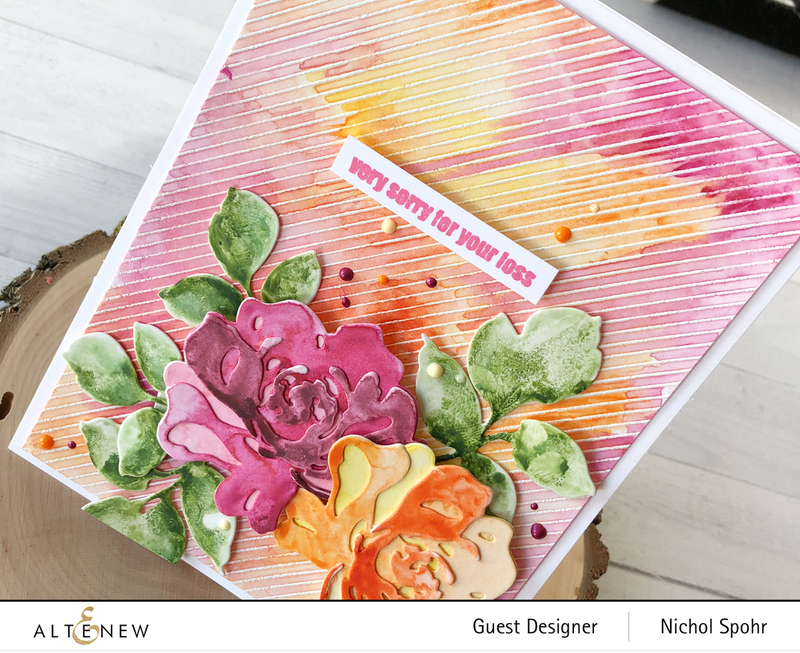 I love Nichol’s cards and her blog is amazing! Thanks so much for all you share and these cards are lovely! Hello Nichol. You’re right – who does florals better than Altenew? No-one! Your cards are stunning and beautifully created. Love your ideas. TFS. Your stripped background card is GORGEOUS! They are all so pretty but this one just grabbed me and said – look at me. Wonderful cards! I love the beautiful colors you chose! Thank you for great inspiration. Wow! So gorgeous, Nichol! Thanks for the inspiration. These are all beautiful Nichol. With your talent and Altenew’s beautiful floral’s you couldn’t go wrong, simply beautiful work.